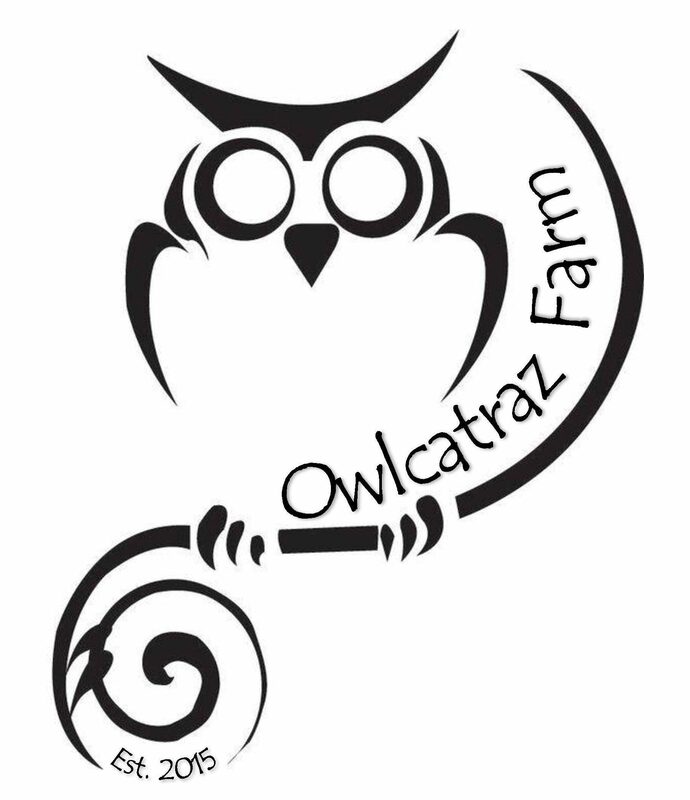 Officially, land was broken for Owlcatraz Farm in 2015. But the idea (dream) for the farm was started much earlier (probably in the heart and mind of a young girl who always brought stray animals home). A result of a lot of sweat, some blood, and plenty of love – we can’t wait to share our farm fun with you! This site shares a few of our favorite things with you: animals, crafts, animals, meals, and more animals! Through environmentally sustainable farming and detailed attention to animal care, our goal is to produce top quality livestock and byproducts from our home to yours. Take some time to visit our blog and enjoy some of the tales regarding our furry and feathered tails!